Sutton on the Forest School » If you go down to the woods today….. If you go down to the woods today be sure of a big surprise…. Playscheme have started work on our Nature Resource Area today due to our successful Awards For All Grant. 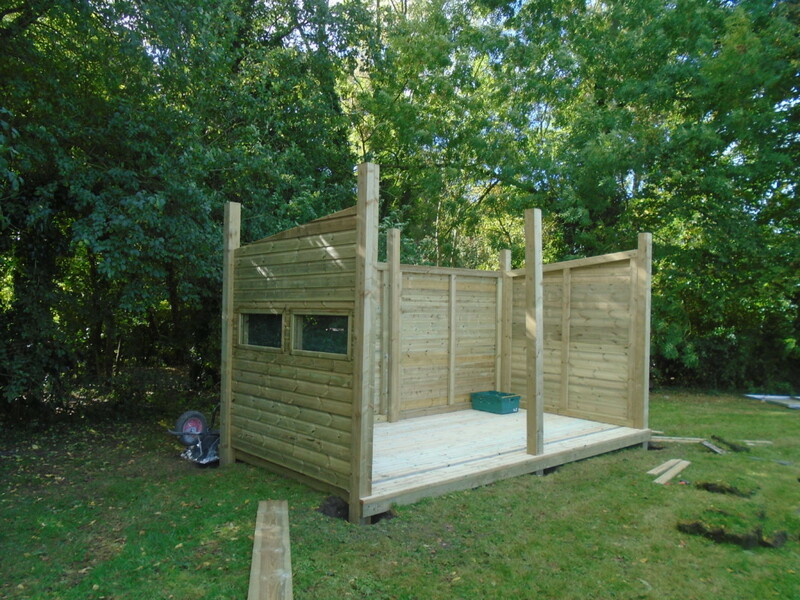 The plans can be seen in the school office; there will be a Nature Resource Centre ( a log cabin classroom that incorporates a bird hide) a bird station, woodland path, magnetic identification boards and a special canopied entrance. The children are very excited-it should be a super addition to our Forest School activities. Open Afternoons for 2017 new starters! Aviva Bid for Tennis Courts!